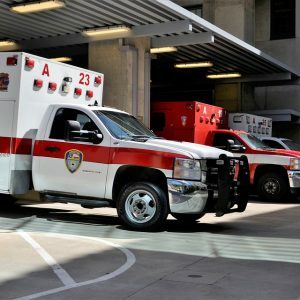 Montgomery County, TX (March 28, 2019) – On March 27, a firefighting helicopter crashed near Bethel Rd, killing one and leaving two injured. On March 28, authorities released the names of the victims involved in this tragic event. According to authorities, the pilot, Morgan J. Kozloski and a passenger, Kelly Callahen, survived the crash and were taken to an area hospital in stable condition for treatment to injuries. Sadly, a firefighter named Daniel J. Laird, 41, was deceased at the scene of the crash. The Eurocopter AS350 was tending to a controlled burn area at the time of the crash, which occurred around 2 p.m. near the intersection of Bethel Road and FM 149. The cause of the crash remains under investigation at this time. Our thoughts and prayers are with both Kozloski and Callahen as they recover from their injuries. Our warmest condolences go out to the Laird family as they deal with this very tragic loss. Over 500 workers die each year in Texas while on the job. Regardless of how safe worksites and equipment are, nothing is truly without risk. Victims who lose their lives in these very tragic incidents often leave behind grieving families. Those injured while on the job often face thousands of dollars in medical treatment for their injuries. No matter the type of injury a person sustains, their families are left devastated. Texas wrongful death attorneys at the Benton Law Firm work with victims and surviving family members across Texas to help them obtain compensation and justice. Our skilled accident injury attorneys in Texas work diligently to ensure those harmed by wrongdoers hold those at-fault liable for their actions. Over the years, we have helped victims and families obtain millions of dollars in compensation for their claims. If you were injured, or your loved one died, in a work-related injury, contact our knowledgeable Texas accident injury attorneys at (214) 219-4878 to schedule a free case evaluation today.